I was dreaming of this menu for months in advance! But don't worry -- this isn't your typical diner food. This is my elevated "Retro Diner Faves" menu: Truffled Curly Fries, Cobb Salad, Paula's Patty Melt, and a Pistachio Palmier Milkshake. As you know...I have to give my students something to wash their wine down with! I fry the curly fries twice, at two different temperatures to obtain that crispiness. I keep them warm in the oven between batches. To finish it off -- a fresh parmesan, garlic, herb mix with a truffle salt and oil drizzle. 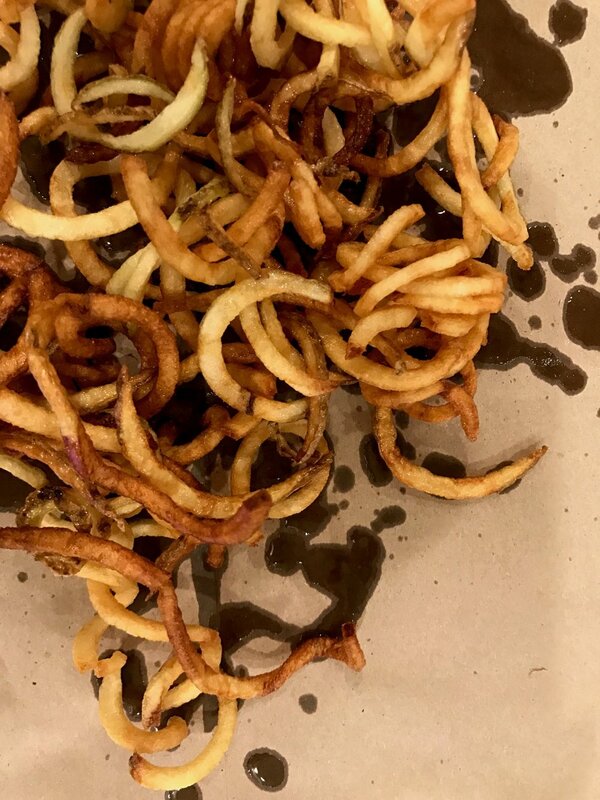 My husband didn't believe that my students would eat all the curly fries I cooked up...but we proved him wrong. They are THAT. GOOD. Next, I showed my students an adorable Cobb Salad in a Jar. 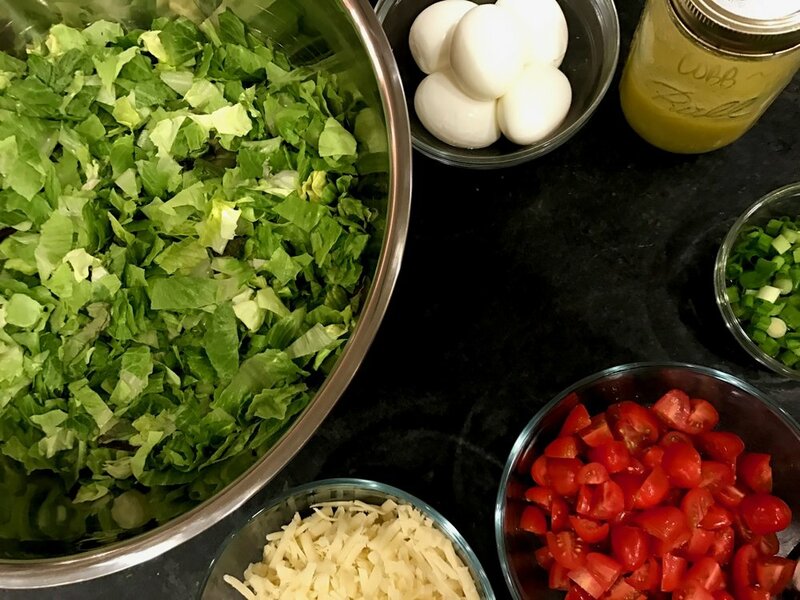 The chicken in this salad is so versatile and delicious. This is a great way to serve a Cobb Salad for luncheons or to pack and go for lunches. I whipped up a vinaigrette. You want to pack the jar with heavy ingredients to light ingredients if serving right away. While enjoying the salads, I started dreaming of dessert. I mixed finely chopped pistachios and brown sugar, spread it on a buttered puff pastry, and folded into a Palmier. Back they went into the fridge to keep it cool until baking. For the burger, I had to share my secret to the perfect Patty Melt recipe! Instead of Marble Rye Bread -- think Brioche. Instead of Thousand Island dressing -- think a fresh lemon aioli. And instead of melted Swiss cheese with caramelized onions -- think smooth French Brie cheese with caramelized shallots. There are no words. This recipe gives me shivers. The cherry on top was the Pistachio Palmier Milkshake. Oh my goodness.